This rolltop desk is near and dear to my heart, since my Dad stained it originally when I was a child, and I lugged it to Austin with me and around various apartments. But now it has a forever home in my son's baseball-Americana-meets-dinosaur-and-car themed room! 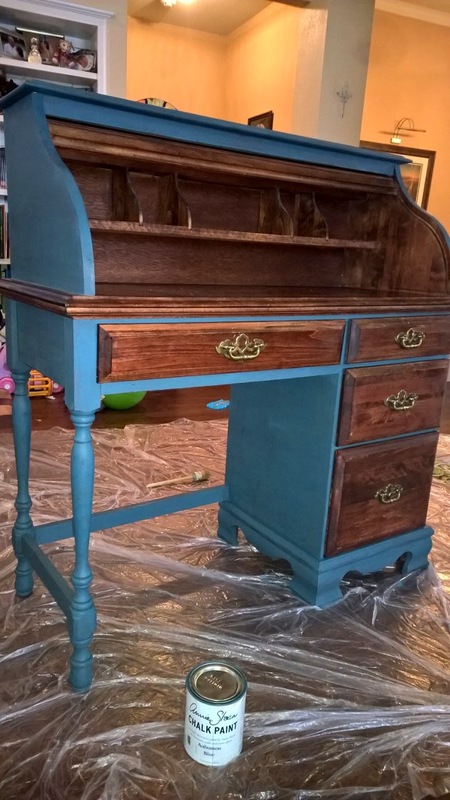 I left the original stain, but did a solid clean and shine on the drawers/interior with polish, and painted the body Annie Sloan Chalk Paint Aubusson Blue, with clear and dark waxes. 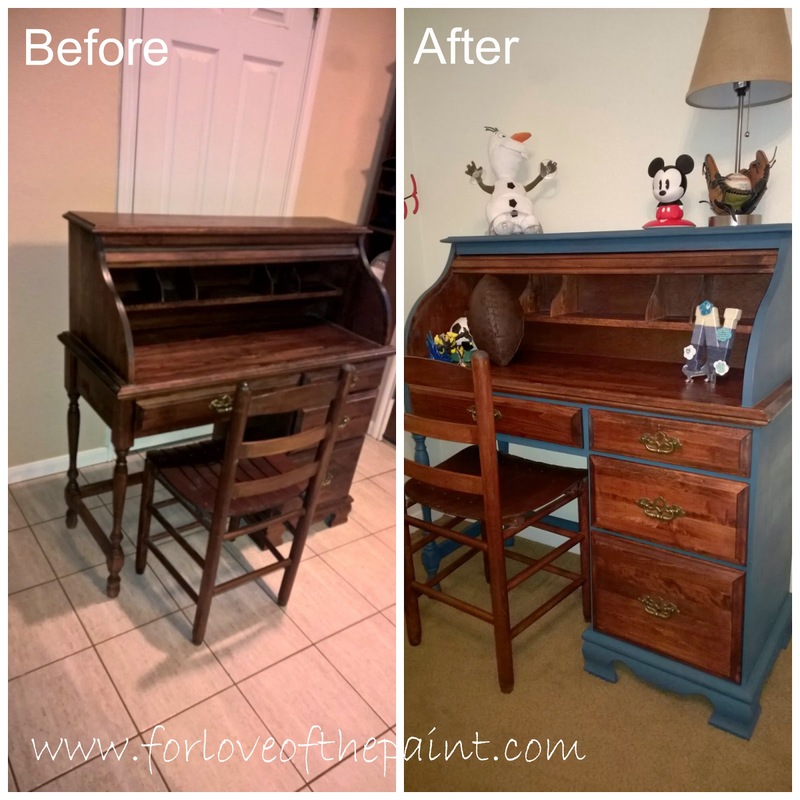 Here's the before and after - what a facelift! I love the modern / classic juxtaposition :) as always. Here's a photo with great sunlight so you can really see the Aubusson Blue gorgeousness!